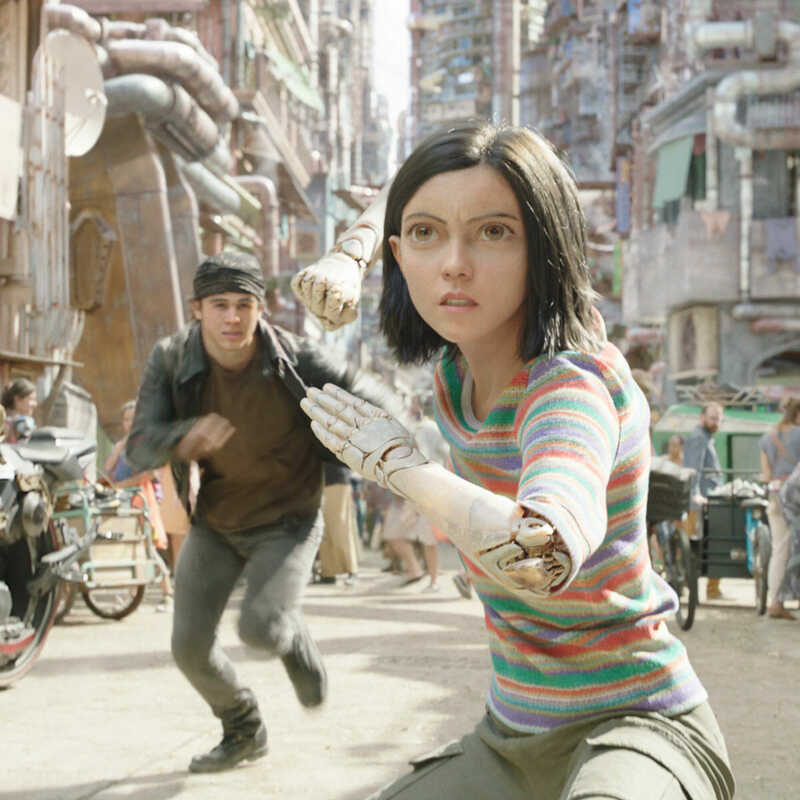 A lot can be said about Alita: Battle Angel, the passion project of producer James Cameron (of Titanic and Avatar fame) and Robert Rodriquez (Sin City). A film 20 years in the making, and with the masterful precision of the Kiwi Weta Workshop team, Alita: Battle Angel is a cinematic feast for the eyes. With seamless visual effects and ‘heaps sick” (man-sitting-behind-me-in-the-cinema’s words) fight scenes, it’s action packed and made to be devoured on the big screen. We’re thrown forward centuries in the future to 2563, in a scrapyard place called Iron City, which is the ravished remnants of the Earth following a war known as “The Fall”. One day, a warmhearted doctor called Ido (Christoph Waltz), finds a cyborg amongst the junk and takes her to his home. After building her a new body and bringing her back to “life”, Ido christens her ‘Alita’. When she awakes in her new body, Alita (Rosa Salazar) has no memory of who she is or where she is, so with Ido’s help, learns about her new city, her newfound strength, and finds her place in it. In Iron City, not all is as it seems, with Alita discovering that everyone a potential villain, living life dangerously in the perilous scrapyard. With bounties on many heads and super-strong ‘hunter warriors’; part human, part cyborg, the streets are a violent place riddled with crime. However, every character shares one common goal; they all want to get to Zalem; a golden, prosperous city in the sky, and they’ll do whatever it takes to get there and escape Iron City forever. The ‘dystopian future’ theme is super trendy and topical right now, but with a perfectly blended recipe of romance, the meaning of family, self-discovery and general kick-assery, Alita: Battle Angel delivers a magisterial adaption to the action genre. Our one suggestion for you? When you see Alita: Battle Angel, make sure you see it on the big screen! See Alita: Battle Angel in cinemas from 14 February.